Some languages have more than one word for what English speakers think of as a single entity. Since ice is so important in their lives, the Inuit people reportedly differentiate among the various kinds, from slush ice to black ice. Have children choose something important to them – stickers, ice cream or ?? ?– and MAKE-UP WORDS for different kinds. Nodding the head to signify “yes” is not a universal gesture. To some people from Greece, Turkey and various Middle Eastern regions, nodding means “no”. The way many Westerners wave good-bye is the same way people in some Middle Eastern cultures indicate “come here.” Suggest that youth MAKE UP SOME ENTIRELY NEW GESTURES, such as puffing their cheeks to indicate impatience. INTRODUCE MUSIC from other cultures: The Putumayo Kids record label produces upbeat, culturally authentic music — including folk, Celtic, reggae, Latin and African music. MOVIES: Netflix.com has a foreign children and family category that features award-winning films. Crayons, pencils, markers, paper, the below poem. Read the following poem to your students. Next–The children draw their own portrait on the pre-made crayon patterns–when complete–have children cut out their crayon self-portrait. 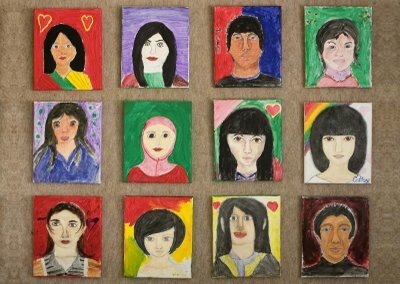 The self-portraits are then placed in a “giant box of crayons” shape– that you can create using construction paper. The children’s pictures are lined up next to each other and in rows—just as crayons in a crayon box would be. For younger children, present with music and games…counting, greetings. etc. Make it fun! The goal of this activity is to heighten cross-cultural awareness, celebrate cross-cultural knowledge, and to say “hello” (and thank-you) in many different languages. This can be used as a warm-up, get-to-know-you activity with a cross-cultural theme. Within a group, you may be surprised how much knowledge there is of different languages for basic phrases. Optional: Ask participants to see if they can guess how many people there are in the world and how many different languages are spoken. (There are ~2800 languages and ~6 billion people. If an equal number of people spoke each language that would be ~ 2 million people per language. You might relate this to local city/town size.). Challenge the group to come up with as many different languages for “hello” or “thank-you” as possible. When somebody volunteers (e.g., Bonjour! ), make sure they say it or repeat it clearly for the rest of the group— who then repeat. Optional: Before people start making suggestions, ask the group to have a guess to how many collective languages the group will be able to come up with. Don’t allow discussion – just do a quick survey–and take a rough average – that’s the group’s estimate. The group leader keeps count on his/her fingers. Was the final number of “hellos or thank-you’s in different languages” close to the group’s guess? If the group underestimated, they may not realize the knowledge within the group that might be used to their advantage. If the group’s guess was an overestimate, why did they overestimate their knowledge resources? Discuss. Optional, but recommended – have a list of hello/thank-you in several different languages from which you can read out. 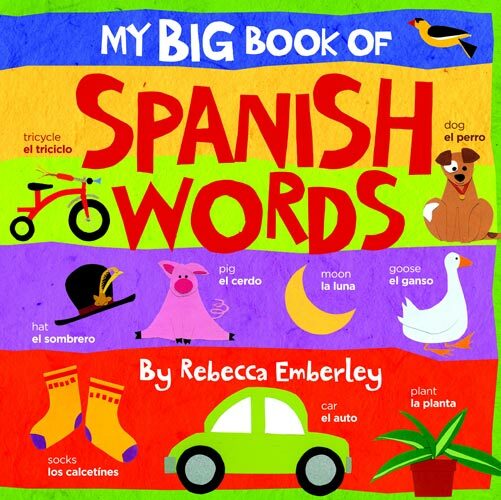 This is especially useful for groups who don’t know many different languages, as well as to learn, have fun, and illustrate the range of different languages. ‘KIDS MEETING KIDS!’ helps young people by helping them to find ways to speak for themselves, take care of each other and the larger community around them. 400,000 children from many countries are writing to each other. They write about themselves, their interest, their families, schools, hobbies, questions about what’s going on in the world, concerns they have about their countries, other kids and how they feel about wars, children’s rights, and other world issues. From their penpals, they learn what it’s like to live in another country and culture, and how another young person sees the world. The penpals often find that they have more things in common than they don’t. Kids Meeting Kids helps link kids around the world. To see how to join VISIT HERE. Learning about other people and cultures promotes understanding and acceptance. Help children learn about our differences and similarities and appreciate cultural diversity. Learn the flags from other countries. Have cooking projects of special foods from around the world. Explore how we all have the same basic needs. Have items from other cultures available to explore. Older children can do research and reports of countries and their people. Explore the cultural challenges within our own nation. Explore the various religions within the classroom, and then extend it to the world. Explore how all of us, even within the same culture, are alike yet different.